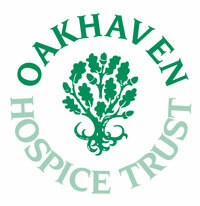 Oakhaven Hospice Trusts vision is to be an organisation offering innovative and highly respected specialist palliative care in partnership with others across the New Forest, setting standards to which others aspire. The externally accredited organisation offers a clinical, educational and advisory resource, which appropriately meets the assessed needs of the local population. The service succeeds in being accessible, auditable and accountable, reflecting evidence-based practice. Integral to Oakhaven’s achievements has been a careful and creative use of resources ensuring both value for money and a stable financial base from which we continue to extend our service. Oakhaven recognises that its greatest resource is its highly trained and skilled workforce and the community of volunteers and supporters who have together developed the strong sense of shared ownership enabling us to excel. Our Mission is to provide specialist care to patients, carers and families who are facing complex physical, emotional and practical difficulties arising from advanced progressive life-limiting illness. We believe in respecting the individual’s dignity and choices and enhance the quality of care for patients in all care settings through partnership, collaboration, advice and education.